Wow! this is an awesome album!!! 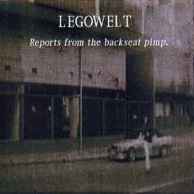 Really shows the genius of Legowelt. Why "Gina Fly To Space" is not on this version? Personally my favorite of the original album.